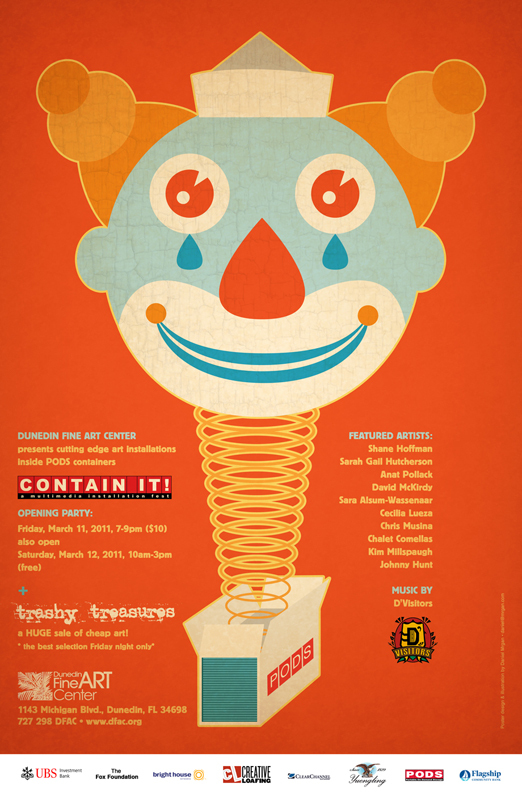 FSU second year graduate students Johnson Hunt and Chalet Comellas participate in the 2011 CONTAIN IT! show hosted by the Dunedin Fine Art Center. The show presents cutting edge art installations inside POD containers.